I Used 2 large area washers on each side. 3/8″x 11/2 ” as spacer and 2ea. bolts 3/8″x1″. Used 2ea. large area washer 3/8″x11/4″ as spacer and 2ea. bolts 3/8″x1″. My driveway is crushed rock and 70 yards long and up hill. It snowed last night so I was excited to see how they would work. I was not disappointed, they worked great. 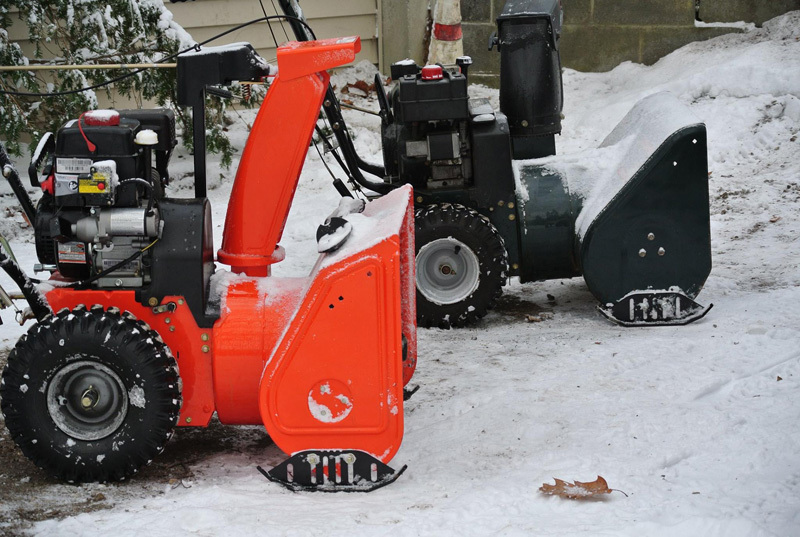 The snow blowers seemed more stable and the front end would not dig in like the one’s that come on the snow blower. The larger contact are made the front end of the blower glided over most of the stones but some went thru. I would highly recommend these skids,you won’t disappointed.